Resource center Drug Recovery Process and Timeline Should You Handle a Freelapse the Same as a Relapse? Medical science is changing the concept of addiction. Now, most addiction and medical professionals agree that addiction is not a failure of willpower, but a chronic illness that is a complicated mix of genetics, family history, and environment, which can trigger cravings for, and compulsive consumption of, intoxicating substances. Addiction is also closely tied to mental health. 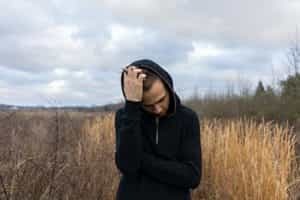 Even when a person has undergone treatment for their addiction and understands the long-term health and social consequences of consuming drugs or alcohol, they may still suffer a relapse into substance abuse at some point. While it may be difficult for many people to understand, relapse is an inherent part of struggling with addiction. 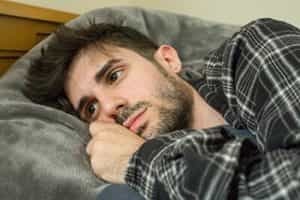 There are many parts of rehabilitation and long-term addiction treatment that focus on preventing relapse or at least reducing the risk of relapse; now, however, many addiction specialists are focusing on helping people as soon as possible when they do begin to relapse and encouraging these people to seek treatment as soon as they notice symptoms. Lapse: A lapse is a one-time slip into compulsively consuming a substance, which doesn’t last long, and the person is able to regain control of their sobriety. Relapse: A relapse is a return to an addictive lifestyle, in which the person’s behaviors and choices return to previous patterns in addiction. Lapses can signal a potential relapse, so it is important to take these seriously. There is a new concept, which does not have a specific medical definition, but should also be taken seriously: freelapse. Freelapses are not even a return of compulsive behaviors, but a complete accident that occurs while the person recovering from addiction is actively choosing to remain sober. The person could get a quick buzz from hairspray or paint fumes without intending to, or could eat a desert that has a small amount of alcohol. The intoxication can trigger some cravings for the original substance; however, many anecdotes from people who have experienced a freelapse show how frightening the experience can be. They also show the importance of social support to reduce the impact of a lapse and to encourage the person to seek help. Just as addiction professionals define lapse and relapse differently, freelapses and relapses are not the same. A freelapse is more similar to a lapse; the person experiences a one-time encounter with an intoxicating substance and is able to avoid falling into previous detrimental patterns. However, even a freelapse highlights the importance of rehabilitation programs, which offer therapeutic and social support during a time that feels like a crisis. In fact, a highlight of rehabilitation programs is the creation of a relapse plan. Experiencing a lapse or a relapse does not mean that treatment has failed, since relapse is a common condition of many chronic illnesses, like multiple sclerosis, cancer, diabetes, and addiction. During rehabilitation, a therapist and client will work on a relapse plan, in the event of a lapse (including a freelapse) or a relapse. Relapses may mean a return to a rehabilitation program, but they are not a personal failure, and they do not mean that treatment has not worked. Having support in place is a very important part of overcoming addiction; calling on that support sometimes means just calling a friend, sponsor, or therapist, while at other times, it might mean a more long-term, intensive focus on treatment. However, it is always possible to get help when it is needed. A relapse plan is one part of a long-term dedication to recovery, and it is one of the most important parts of rehabilitation programs. Even if a freelapse triggers a craving, a relapse plan can help stop the relapse in its tracks.